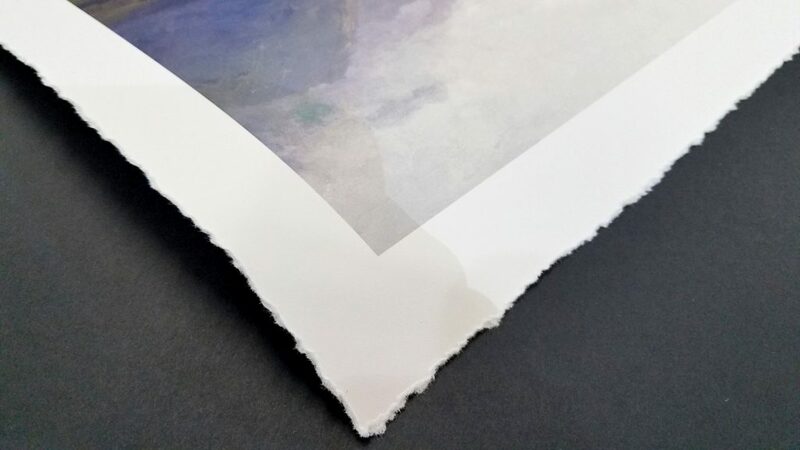 Deckle or torn edges are an option for artists and occasionally photographers who print their images on fine art papers. Some just like the effect while others, like it because it gives a giclee print the look of a print produced on a handmade paper. We offer this style of print as something you can order with your fine art paper prints however occasionally people tell us they had envisioned something different. Because of that we want to break down what exactly this looks like and how you can do it yourself if you choose. 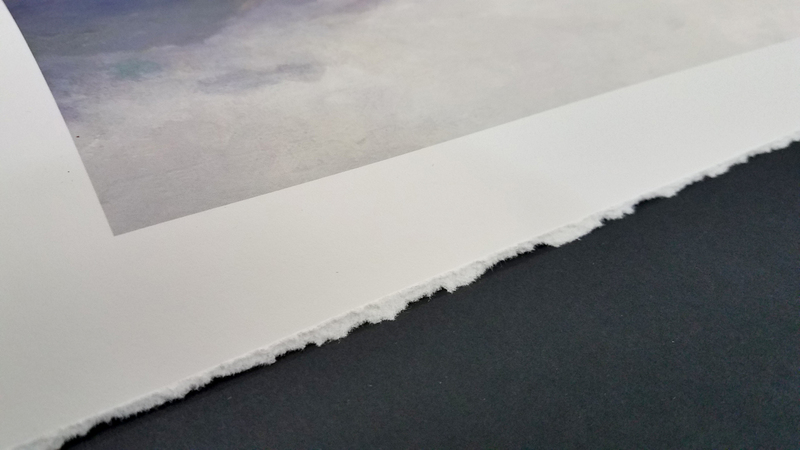 Feeding paper with naturally torn edges could potentially create havoc in a controlled printing environment due to the very precise components on the printer, therefore it is best to create that torn edge effect after the image has been printed on the paper. Here I am going to show you two ways to accomplish this if you want to do it yourself rather than have FinerWorks do it. The first method utilizes a ruler or other straight edge tool. The second uses a simple device that in my opinion provides the best example of a torn or deckled edge. Using a ruler or straight edge is the most basic way but may take a little practice. 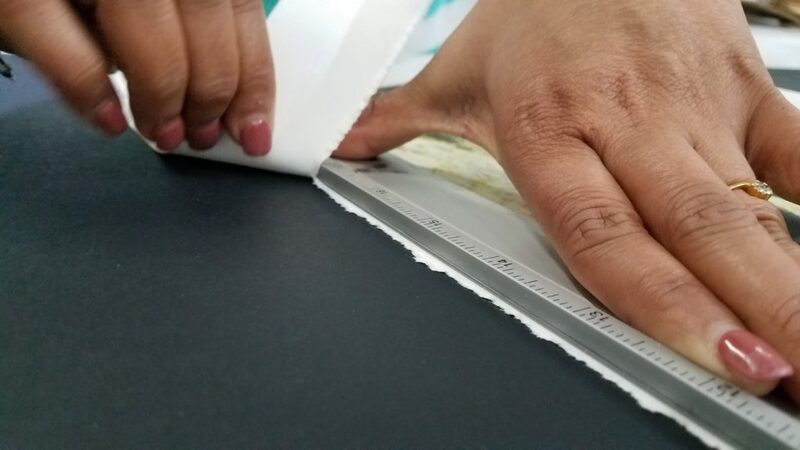 You want to start by placing the ruler firmly on the print so that it cannot shift while you tear. 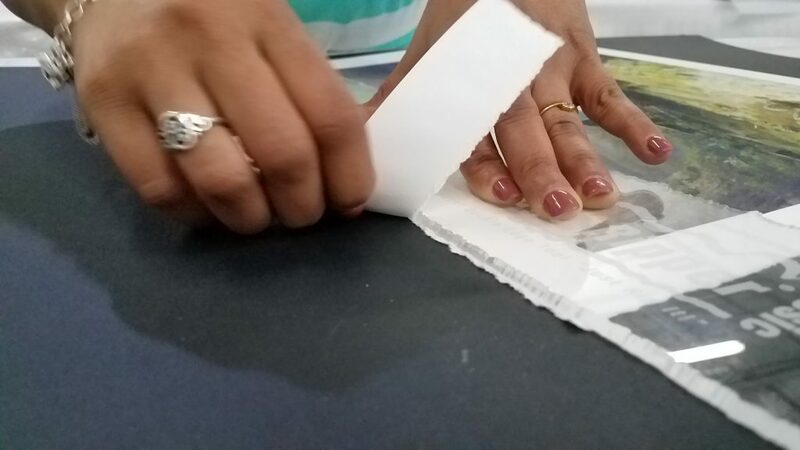 Some people will fin creating a folded crease helps because it weakens the paper fibers making the tear a little easier. The results look pretty good but some may not like this look because of the line the straight edge leaves. This method uses something called the Dual Edge Ripper. There are other similar tools out there but this one is my favorite and a good investment if you do this a lot. The edge is is shapes like a deckle already and sharp enough so that no pre-folding show be required. The results tend to be a more natural looking deckle. Incidentally, this is what we use at FinerWorks. The general consensus is the Dual Edge Ripper provides a more natural look. Ever since we went this route, our customers have seemed happier with the deckled edges. Before you do either one of these, I recommend practicing on some heavy card stock that will be about the thickness of the paper prints you use. 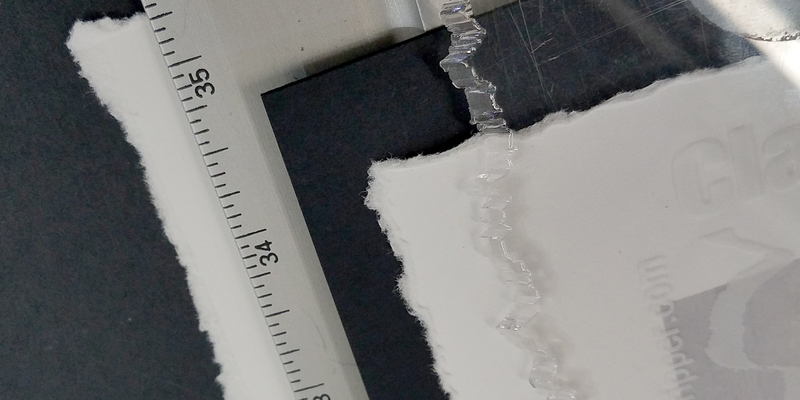 While the amount of pressure and the softness of the tear might not be the same dependent on the materials of the paper, it gives you some sort of idea what to expect before tearing into your prints. The best paper is one that is very fibrous such as cotton base papers. Just be aware sometimes these papers may mute tones more. Unless you are going borderless, you will want your print to have about a 2-inch border. If your border is too small you might find achieving a nice even tear on each side more difficult. If you use water to soften the crease (first method) be very careful not to get water on where the image is. The best fine art papers for torn edges will be very absorbent of water plus the colors will potentially discolor or even run if water gets on them. Feel free to share your thoughts and techniques on creating a deckled edge print.